Evergreen Advisors, a leading Investment Bank and Corporate Advisory Firm, is pleased to announce that it has launched a new Corporate Advisory Practice that combines our CFO Advisory, Business Valuation, Corporate Finance, and Strategy Units. The combined team will provide a multi-disciplinary approach to servicing clients throughout their financial lifecycle and add a range of consulting services to our portfolio. Services in the group include: Strategic CFO Advisory, Accounting and Controller Services, Business Valuation Services, Strategic Planning, and Corporate Finance. Evergreen Advisors has previously been known to offer three categories of services: Investment Banking Services, CFO Advisory Services, and Business Valuation Services. The new Corporate Advisory Practice will allow us to provide a broad range of specialized services to our clients as their needs change. Joe Bradley will head up the Corporate Advisory Practice. In this Entrepreneur Spotlight we have put our focus on Trivalent, a leading provider of next generation data protection based in Annapolis, MD. We love to interview clients and other local entrepreneurs to make others aware of what is going on in the local business community. We took a few moments to interview Trivalent, to ask some questions and learn more about this fast-growing company. 1. Tell us a little bit about Trivalent. How you first got started and how you have grown since inception in 2010. Evergreen Advisors is pleased to announce that Rick Kohr, CEO, will be serving on the judging panel for Ernst & Young’s 2017 Maryland Entrepreneur of the Year program. EY’s Entrepreneur of the Year has been celebrating entrepreneurs for over 30 years and has been recognized as one of the most prestigious business award programs in the world. Entrepreneur of the Year celebrates those who are building and leading successful, growing and dynamic businesses, recognizing them through regional, national and global awards programs in more than 145 cities in more than 60 countries. EY’s Entrepreneur of the Year program runs from April to June, where the independent judges review participant applications, conduct interviews, select categories and winners, and award those winners on June 28th, during a gala at the conclusion of the program. Rick Kohr had the pleasure of sitting down with both Tom and Gary to discuss the recently formed Momentum Fund, geared towards increasing new company creation and commercialization of research in Maryland. The Fund will concentrate on filling funding gaps and provide opportunities for innovation. RK: The first thing I always like to ask is “How would you describe the problem that exists today that you are trying to solve?” It will help us to understand why the Momentum Fund was created. Evergreen Advisors announces the promotion of both Justin Horsman and Will O’Donnell to Manager in our Business Valuation Practice. Justin Horsman joined Evergreen in 2013 and brings to Evergreen experience in valuation advisory services for a variety of purposes, including estate and gift tax, IRC 409A, dissenting shareholder and oppression, Subchapter-S elections, buy/sell agreements, and fair value reporting. He is a CFA Level 3 Candidate, a member of the American Society of Appraisers, and has passed the four principles of valuation prerequisites. Justin holds his Series 63, Uniform Securities Agent State license, and Series 79, Investment Banking Representative license. What can March Madness teach us about business, you ask? As March Madness quickly approaches, we can’t help but think about who are our teams, the concepts of dedication and hard work, and what it means to aim to be great. Here at Evergreen, we celebrate March Madness with intensity and high spirits. 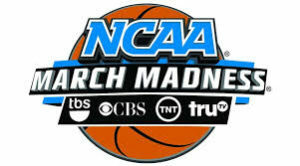 But how does the game of basketball and March Madness itself relate to our everyday business and individual lives? Do you exemplify the characteristics of a great individual and an even better team player? Teamwork: The great thing about a team is that several unique individuals come together to join as ONE – bringing all of their different talents and skills for one common purpose. To win & to succeed. Take a look at your team – is everyone striving towards the same goal? There is no stronger team than a team who is comprised of people who work for the same outcome and who aim for greatness. Leadership: The best teams have excellent leaders, and not just in management. A great team can learn from a great coaching staff, but individuals who exemplify leadership can take the team even further in their successes. Who are the members on your team and are you exemplifying leadership qualities to advance your team’s success? Commitment: You may have raw talent, but you must be committed to working hard and exercising your skills repetitively to ensure you stay active and perform well. Train to win. Learn new skills, gain new knowledge, apply those talents, and work towards success. Hard work and dedication pay off, not only in basketball, but in everyday business endeavors. Attitude: It is important to have a good attitude and to reflect good character in your team. If you have a poor attitude or display unsportsmanlike qualities, you will bring fault to your character. If one team member has poor character, it will affect the image of your business as a whole and the clients you wish to attract. Most of all have fun! It’s much better when you love what you do and have fun doing it! Who’s your team and how are you contributing during this March Madness season? Leadership Maryland announced this week that Shelley Lombardo, MBA ’17, Chief Operating Officer at Evergreen Advisors, LLC, has been chosen to participate in the professional development program dedicated to building a better Maryland by harnessing the strength of its local business and community leaders. Lombardo is one of 52 individuals chosen for Leadership Maryland’s 25th class – the Class of 2017, who will complete the eight-month hands-on learning program focused on the state’s most vital social, economic and environmental issues. Join Evergreen Advisors and thousands of other industry professionals at the RSA Conference 2017 in San Francisco, California. The conference will be held at the Moscone Center and will take place February 13 – February 17. 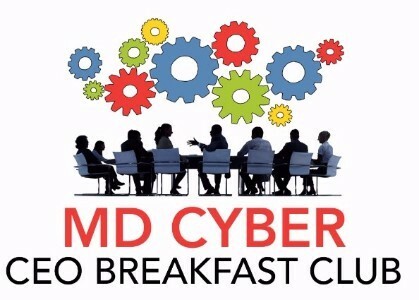 Top information security professionals and business leaders will discuss emerging cybersecurity trends and formulate best strategies for tackling current and future threats. At this year’s event, attendees will have access to more than 500 exhibitors, more than 400 expert-led sessions, and invaluable networking opportunities to learn more about new approaches to info security discover the latest technology and interact with top security leaders and pioneers. 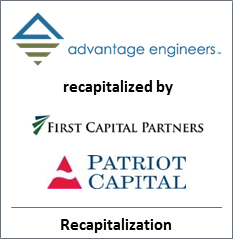 Evergreen Advisors Capital is pleased to announce that it was the exclusive financial advisor to Tidal Basin Group of Alexandria, VA, a national consulting firm specializing in supporting state and local governments and nonprofit organizations with pre- and post-disaster recovery programs. Tidal Basin Group is divided into three firms: Government Consulting, Federal, and Commercial Services. These firms have provided technical support and expertise in over 100 federally declared disasters throughout the United States. Tidal Basin is headquartered in Alexandria, VA with additional offices in Winchester, VA, New Orleans, LA, Frisco, TX, and Orlando, FL. 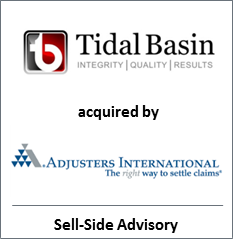 Evergreen Advisors was the exclusive financial advisor in the acquisition of Tidal Basin by Adjusters International, Inc., based out of Utica, New York. 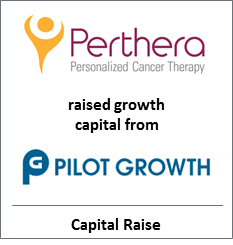 In this Entrepreneur Spotlight we are focusing on one of our CFO clients: Protenus. Protenus helps hospitals protect patient privacy in electronic medical records by detecting privacy breaches in real-time. The solution is a lightweight analytical tool focused on protecting against insider threats. The Company is based in Baltimore, MD and was founded in 2014. 1. Tell us a little bit about Protenus. The idea behind it, how you got started, and what the initial purpose of this business was. Evergreen Advisors is a proud sponsor of the 2016 Howard County Good Scout Breakfast. The Breakfast is held to honor the recipient of the 2016 Good Scout Award, which recognizes an individual with outstanding contributions to improve the quality of life in Howard County while exemplifying the precepts found in the Scout Oath and Law. The 2016 honoree is Mr. Allan H. Kittleman, Howard County Executive. Economic Alliance of Greater Baltimore is holding their 2016 Annual Meeting on November 17th. The meeting will be held at the Marriott Waterfront Hotel from 4:30-8:30pm. EAGB’s Annual Meeting is a celebration of the events and people that make the region a world-class place to live, work, learn and invest. It will showcase the dedicated commitment of business leaders, innovators, students and government officials and the products, companies and initiatives they’re leading, building and creating in the great region. Evergreen Advisors’ Joe Statter will be on the panel for An Owner’s Journey, a panel discussion presented by U.S. Trust on Oct 6th. The discussion will be held at The Hotel in Arundel Preserve in Hanover, Maryland. Attendees will hear about the experiences of the panelists’ on selling and transitioning companies. The panelists will provide insight and strategies for the challenges business owners face when deciding what the next step is for their business. 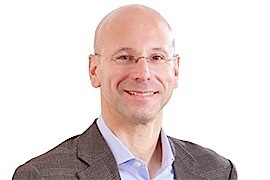 Harris is a Vice President in Evergreen Advisors’ CFO Advisory practice. 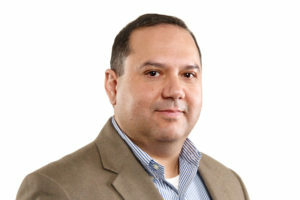 He is based out of the Columbia office and has added his international background knowledge to our firm upon his start with Evergreen in April. We asked Harris a few quick questions to learn more about what he is working on and who he is working with here at Evergreen. 1. Tell us how your international background helps with your current clients? Several of our clients are expanding internationally both in EMEA and APAC. Having launched several international operations in the past, I am able to provide advice and guidance as to how to approach setting up international entities, hiring employees, opening bank accounts, and setting up accounting operations, while at the same time being compliant with local regulations. 2. What industries are you currently working within? I am mostly working with technology companies with a focus on cyber. Rick will be the Investment Banking and Venture Capital speaker. 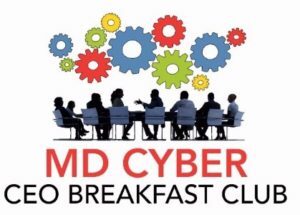 Other speakers for the morning will include: Mike Willets, PNC; Art Jacoby, MD Cyber Investment Partners; and Moss Amer, TEDCO. Evergreen Advisors is a proud sponsor of the 2016 Beta City Event taking place on September 29th. The event will be held at City Garage in Baltimore. 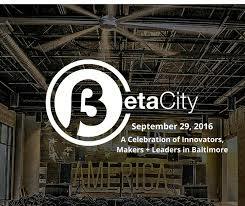 Beta City is presented by Betamore and Sagamore Ventures and is an annual event that recognizes and celebrates leaders, makers and innovators in Baltimore. The event brings together Baltimore’s greatest minds for a full day of pitches, startup demos and a celebration of the growing community. Beta City includes a Live Pitch Competition, a tour of City Garage, and a celebration of the greatest innovators in Baltimore. An Awards Ceremony will take place honoring the winners from the Pitch Competition. 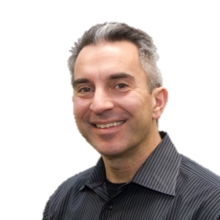 Evergreen Advisors is pleased to announce the addition of Ron Gula to the Evergreen Advisory Board. Evergreen Advisors focuses on assisting companies in the areas of corporate finance, growth and exit strategies, business valuation and CFO Advisory services. 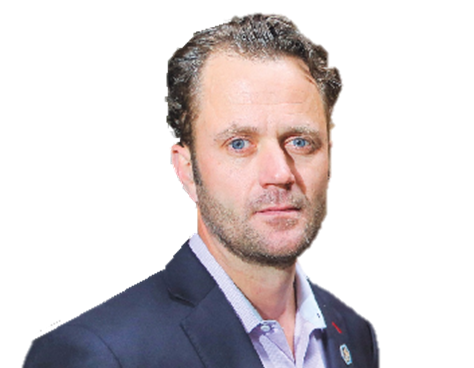 Ron will be joining board members Demian Costa of Sagamore Ventures, Chuck Cullen of Grotech Ventures, Ken Ulman of Margrave Strategies, Tom Sadowski of University of Maryland, Gregg Smith of Optio Labs, Rick Gertiz of LifeJourney, Paul Silber of Blu Ventures, and Jon Shaw of MetaSource. 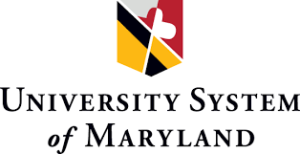 The CyberMaryland Conference brings together academia, government and private organizations in a two day event to network and discuss cyber related industry topics and opportunities. Maryland is recognized as a cybersecurity leader, so what better place to hold the conference than in Baltimore, MD. Speakers and panelists on cyber and technology will be presenting on thoughts and issues in the cyber industry today. The conference is hosted by The National Cyber Security Hall of Fame and Federal Business Council. Evergreen’s Rick Kohr has attended the event over the past several years and will be back again this year. Several of Evergreen’s Advisory Board members will be serving as speakers and panelists. Rick Kohr, CEO of Evergreen Advisors, met up with Michael Moore, CEO of what used to be Sparrows Point Terminal in Baltimore, now known as Tradepoint Atlantic. Rick and Michael talked about the transformation of the terminal into an international business area in Maryland and what this transformation means for Baltimore and Maryland’s economic development. Evergreen is pleased to announce the addition of new members to our firm since our last newsletter in January of 2016. We are thrilled to continue our expansion in all of our practice groups, and will continue to see more talented professionals to join our ever growing team. 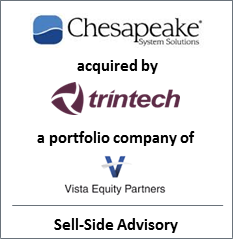 CFO Advisory: Continuing Expansion and How We Can Help! Hiring an outsourced CFO is more than just having a part-time employee helping with the simple accounting needs of your business. CFO’s bring expertise that reach deeper than basic accounting functions. At Evergreen Advisors, we go way beyond the basics. We offer an array of services to our clients to ensure they are improving financial reporting, closely managing cash flow, increasing profitability, gaining knowledge of the current capital markets and focusing on the keys to creating shareholder value. Why choose us? We make sure that you focus on running and growing your business as we manage the financial reporting, capital needs and human resource aspects. Evergreen Advisors, a leading investment bank and corporate advisory firm, with offices in both Columbia, MD and Tysons Corner, VA, is pleased to announce the addition of Demian Costa to the Evergreen Advisory Board. Evergreen Advisors focuses on assisting companies in the areas of corporate finance, growth and exit strategies, business valuation and CFO Advisory services. 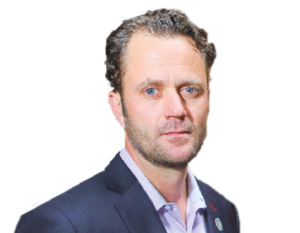 Demian will join a distinguished group of advisory board members including Chuck Cullen of Grotech Venutures, Ken Ulman of Margrave Strategies, Tom Sadowski of University of Maryland, Gregg Smith of Optio Labs, Rick Gertiz of LifeJourney, Paul Silber of Blu Ventures, and Jon Shaw of MetaSource. Evergreen Advisors is pleased to announce the addition of a new member to our team. Beth Robison recently joined the Evergreen Advisors team. Beth has joined the Columbia office as Finance Manager and will be responsible for supporting the financial operations of the firm’s CFO clients by providing accounting, payroll, fixed asset, financial reporting, budgeting, and outsourced services.